Hug This! 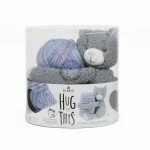 Bunny is a 200g ball of soft 100% acrylic variegated yarn with a cuddly plush 100% polyester plush toy. This item expands on the successful Top This! Toy with yarn concept. 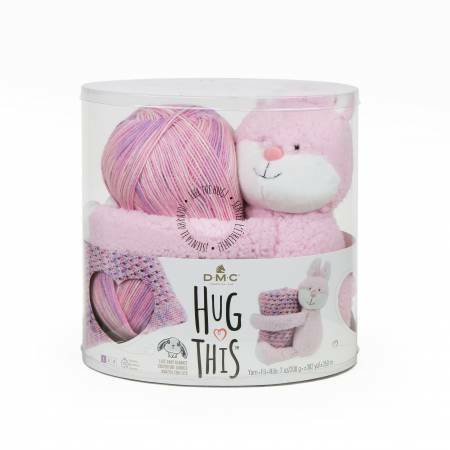 Pink plush bunny hugs yarn in shades of pink, rose and lavender and includes a free knitted blanket pattern. Perfect for a baby gift!